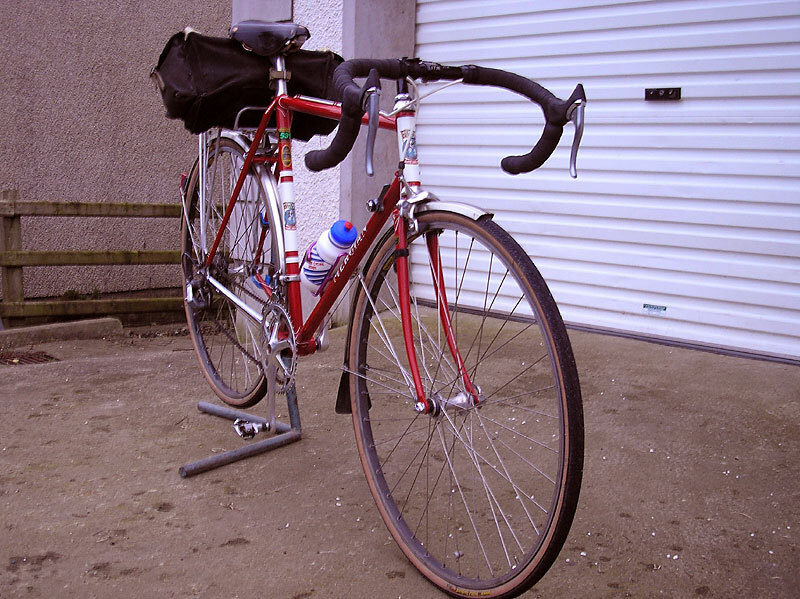 this is my Mercian audax bike which I use a lot for day tours and weekend rides. It is custom built and I use mavic screwed hubs with MA40 rims and Panracer 28mm tyres, with a 14 x 28 block and 50 x 38 chain rings which gets me over the hardest climbs in Ireland. 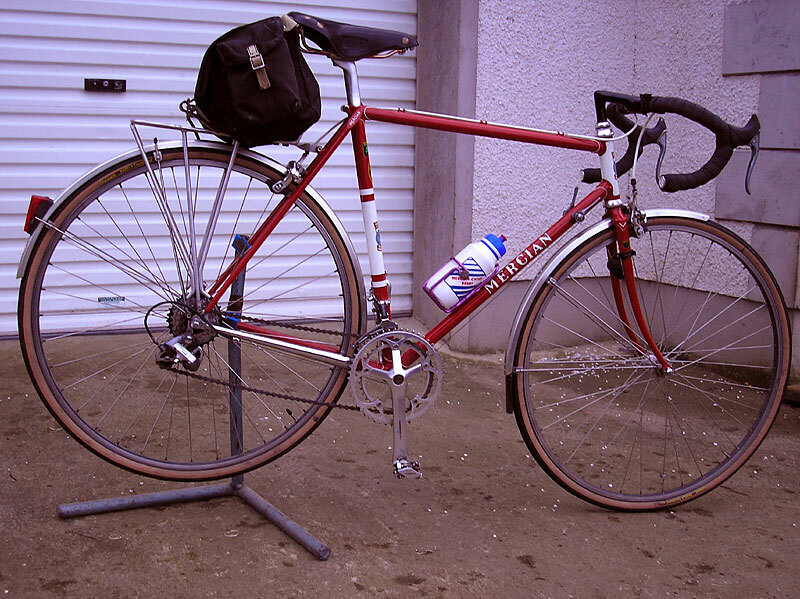 I always use Brooks saddles as I find them very comfortable and a Carridace saddle bag to carry my maps and food.